NHS foundation trusts invested £2 billion last year in new hospital buildings and medical equipment to improve facilities for patients, according to a report from Monitor. 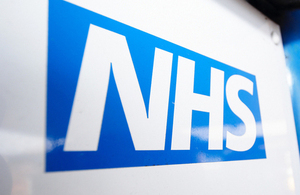 The NHS foundation trust sector as a whole generated a surplus of £134 million. Monitor’s report ‘NHS foundation trusts: consolidated accounts 2013/14’ shows how the NHS foundation trust sector as a whole is responding to increasing NHS financial pressures (as a result of which 41 out of the 147 NHS foundation trusts reported a deficit at the end of the financial year, compared to 21 in 2012/13). The NHS foundation trust sector as a whole generated a surplus of £134 million, and although this was about a third of that generated the previous year, it still enabled NHS foundation trusts to invest in significant improvements in patient care. Dr David Bennett, chief executive of Monitor, said the regulator would continue to work with national partners to help NHS organisations deliver necessary change and improvement in healthcare within tight financial constraints. The challenges facing the sector are anticipated to continue into 2014/15, requiring NHS foundation trusts to find additional efficiencies to compensate for the increasingly difficult economic conditions and the additional demands on services that arise from an ageing population. In order to tackle these challenges, providers will need to focus on their strengths in areas that will drive long term performance and in doing so will need to equip their organisations and their leaders with the capability to address the scale of change required, delivering new business models to bring about an integrated NHS. However, this does not have to mean providing less or poorer care. Change is never easy, and NHS foundation trusts will have to draw on all their strengths to get through this challenging period. If they do, if they use their freedoms, and if they are supported by their local communities, they have the opportunity to invest in a future NHS which is better for their patients, delivering more and better care.